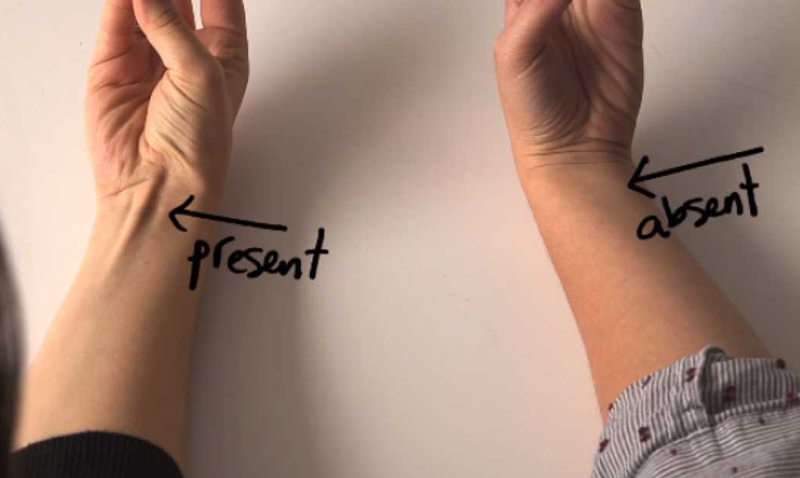 Scientists have dedicated a lot of time and energy into understanding the evolution of the human body, intrigued by the way that we, as a species, have changed over time. Today, there are a number of facts about our bodies that we take for granted, however, these aspects of who we are weren’t always this way! Evolution is defined as “a process of gradual change that takes place over many generations, during which species of animals, plants, or insects slowly change some of their physical characteristics.” Each of these changes occur to help give us an advantage in some way, shape, or form. This may include providing us with an advantage to survive in a specific environmental setting or removing something from our body that is no longer necessary or used. While the idea of people having blue eyes may seem normal and average today, this wasn’t always the case. In fact, scientists have revealed that the genetic mutation responsible for blue eyes didn’t occur until approximately 6000-1000 years ago! Looking back throughout history, we all had brown eyes at one point, however, with the mutation on the OCA2 gene, the production of melanin in the eyes is significantly reduced resulting in the lighter eye color. When this loss of melanin is taken to an extreme, it results in albinism with a loss of color not only in the eyes but also in the hair and skin. There are some aspects of our bodies that no longer serve a purpose. Rather than continuing to maintain these physical attributes, evolution slowly works towards removing it over time. One example of this is wisdom teeth. As our jaws narrowed through time, we no longer had the space for these teeth in our mouths. For this reason, those who do have wisdom teeth often turn to surgery for their removal. However, a mutation has emerged causing these teeth not to grow in approximately 1 in 4 people. There are many theories as to what can cause these bumps along our skin, including exposure to cold temperatures, pleasure, fear or surprise, this interesting phenomenon actually has a biological explanation. When presented with strong emotions or cold temperatures, our brain sends a signal to our muscles telling them to stand up. This occurs in other animals, however, the presence of fur or feathers can make this present in a different way, like the hair of your pet cat or dog standing on end when they are upset. While we don’t have the hair or feathers to stand up, the goosebumps help to warm the muscles up, preparing them for fight or flight. Furthermore, they help to reduce heat loss in the body, responding to the cold temperatures in a way that will encourage survival. #4 – Ability to Digest Milk After Infancy. Whether or not we should continue consuming milk and milk products into our adult lives has been met with a great deal of debate. Many of our favorite foods incorporate dairy products, like cheeses, however, the vegan community has driven the development of a wide variety of alternatives. Why is this ability so unique? Humans are the only species that continues to incorporate milk into their diet after infancy. While 75% of the population is still intolerant, the remaining 25% has evolved to continue producing the necessary enzymes for lactose digestion. This may sound alarming, but don’t jump to worry too quickly. Its true, scientists have revealed that we have seen a decrease in the overall size of our brains over the last 20,000+ years. While some scientists explain this change is due to the fact we no longer need to be as intelligent and complex, others say it is an evolutionary advantage, reflecting our shift as a society away from wild aggression and towards overall domestication. Other biological changes that they say supports this theory include our lighter skeletons and flattened foreheads. The appendix is an example of an organ that is still present in our bodies today despite the fact it no longer serves a purpose. The original need for this organ is up for debate, with many scientists agreeing that it was once integral to the processing of cellulose in our diet. As our diets became far less leaf-heavy, we evolved to no longer require its assistance. In fact, if the appendix becomes infected, the common approach is simply to remove it altogether. Over time, many scientists predict that the appendix may eventually disappear entirely. If we look back throughout history, it’s hard to deny that there are a number of diseases that were once common, however, have dropped incredibly over time. While some of this is a result of modern medicine, we have also evolved some incredible disease resistance from generation to generation. Adaptations to our biology and genes among different populations have provided us with a resistance to diseases such as cholera, leprosy, malaria, and tuberculosis. While there are still a large number of diseases that we face on an ongoing basis, in time we may see genetic changes designed to battle them as well. This may sound like something out of a sci-fi movie, but there was a time that we, as a population, had a working third eyelid, similar to that of a cat. Over time, this has slowly been lost throughout evolution. The remnant is still present and can be seen if you look closely enough in a mirror, but it is no longer functioning except in extremely rare cases. You can still see functional third eyelids in many birds, fish, and reptiles, and even in one species of primate, the Calabar angwantibo. When you travel to higher altitudes, you will find yourself met with the challenges of lower oxygen levels. This can make it incredibly challenging to accomplish even the simplest activities for the average person, like tying your shoes or getting dressed. However, those cultures that have been living in higher altitude areas like the indigenous Tibetans have evolved to better handle this limited oxygen. The changes exist in the way that their body transports and uses oxygen in order to operate at an optimal level, with an increased amount of hemoglobin in their blood.